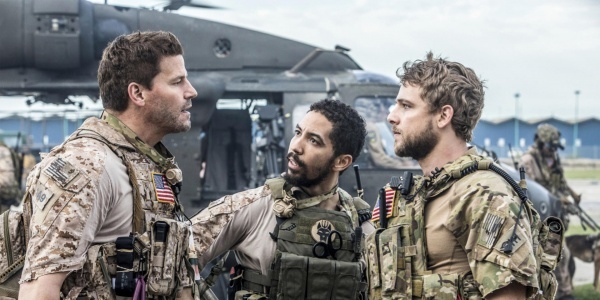 SEAL Team is a military drama that follows the professional and personal lives of the most elite unit of Navy SEALs as they train, plan, and execute the most dangerous, high-stakes missions our country can ask of them. Jason Hayes is the respected, intense leader of the Tier One team whose home life has suffered as a result of his extensive warrior's existence. His team includes his trusted confidant, Ray Perry, the longest-tenured operator with whom Jason shares an ingrained shorthand; Sonny Quinn, an exceptional, loyal soldier with a checkered past who still combats self-destructive tendencies; and Clay Spenser, a young, multilingual, second-generation SEAL with insatiable drive and dedication. Vital to the team's success are troop commander Lt. Cdr. Eric Blackburn, who serves as a leader and confidant both on and off the battlefield; CIA analyst Mandy Ellis, who has sacrificed everything in her drive to root out evil and take down terrorists; and Lisa Davis, a no-nonsense, take-charge logistics officer and unofficial den mother responsible for outfitting the team with the necessary gear for each mission. Deployed on clandestine missions worldwide at a moment’s notice, and knowing the toll it takes on them and their families, this tight-knit SEAL team displays unwavering patriotism and fearless dedication even in the face of overwhelming odds.